May 10, 2018 – Nineteen start-ups participating in the Kosmos Innovation Center (KIC) AgriTech Challenge presented their business plans to a panel of experts at the Institute of Statistical, Social and Economic Research (ISSER) at the University of Ghana, Legon, last Thursday. The first pitch is an important milestone in the program as it validates the viability of the business ideas put forward. 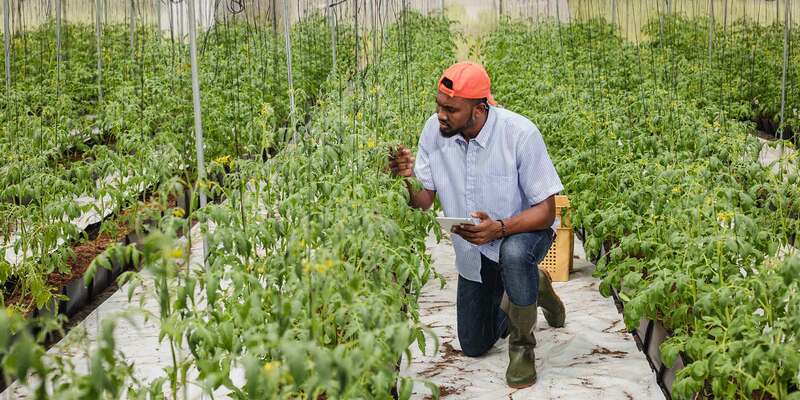 Over the past four months, 75 entrepreneurs have been working on exciting business ideas that seek to solve some of the key challenges in the agricultural value chain. The young entrepreneurs pitched a range of business ideas, with solutions focusing on a mix of agriculture financing; smart storage systems; agronomy and operational support; livestock management and health monitoring systems; input supplies and acquisitions; and aquaculture. Teams were evaluated on the clarity of their challenge proposition and their proposed solution. Successful teams will now advance to the second pitch in June. The panel of judges is made up of experts from academia, finance and banking, information and communication technology, the Ministry of Agriculture, and other fields in the agribusiness value chain. Members of the panel are also mentors in the program, coaching and supporting the young entrepreneurs as they develop and refine their business plans.